Hardly eaten raw, Olive oil is consumed for many purposes. In ancient Greece, 1st eye shadow was made by adding olive oil in ground charcoal. The most expensive form of olive oil is Extra Virgin. Largest type of olive tree is known as donkey tree & smallest one is called bullet. We might think that Cucumber and Olive are similar with respect to nutritional value and health benefits. But the nutrient content of both fruits is different. 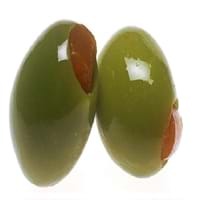 Cucumber and Olive Facts such as their taste, shape, color, and size are also distinct. The difference between Cucumber and Olive is explained here. 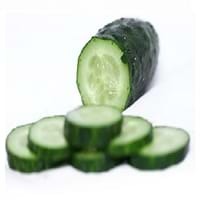 The amount of calories in 100 gm of fresh Cucumber and Olive with peel is 15.00 kcal and 115.00 kcal and the amount of calories without peel is 12.00 kcal and Not Available respectively. Thus, Cucumber and Olive belong to Low Calorie Fruits and High Calorie Fruits category.These fruits might or might not differ with respect to their scientific classification. The order of Cucumber and Olive is Cucurbitales and Lamiales respectively. Cucumber belongs to Cucurbitaceae family and Olive belongs to Oleaceae family. Cucumber belongs to Cucumis genus of C. sativus species and Olive belongs to Olea genus of O. europaea species. Beings plants, both fruits belong to Plantae Kingdom.